Randy and Oliver Melendy awake one fall morning full of gloom. Their brother and sister are away, the house seems forlorn and empty, and even Cuffy, their adored housekeeper, can't pick up their spirits. Will they have to face a long and lonely winter? But a surprise message in the mailbox starts a trail of excitement and adventure that takes them through the cold season. When summer finally comes around again, the children have found fourteen messages in all, and the end of the search brings them a rich reward. 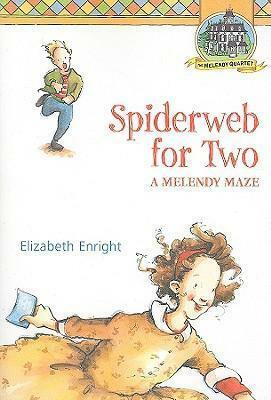 Elizabeth Enright (1907-1968) was a talented writer whose many awards include the 1939 John Newbery Medal for Thimble Summer and a 1958 Newbery Honor for Gone-Away Lake. Among her other beloved titles are her books about the Melendy family, beginning with The Saturdays (1941). Enright also wrote short stories for adults, and her work was published in The New Yorker, Cosmopolitan, Harper's, and The Saturday Evening Post.